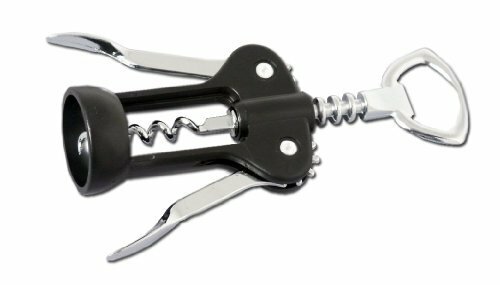 This 6.25-inch classic corkscrew will open wine bottles with ease. While treading the screw into the cork, the handles raise, ready to extract the cork with a downward motion. The built in bottle opener at the top of the corkscrew makes this a versatile tool.